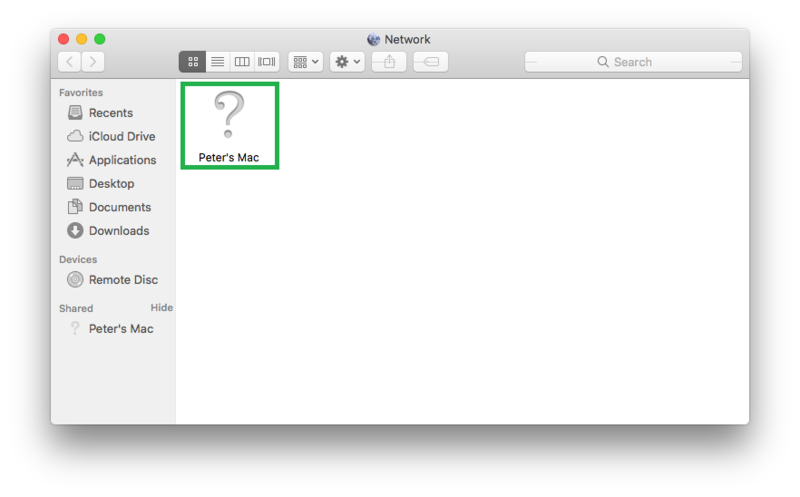 Below are the few pre-requisites that must be met before you can connect your MacBook Pro to another Mac computer. 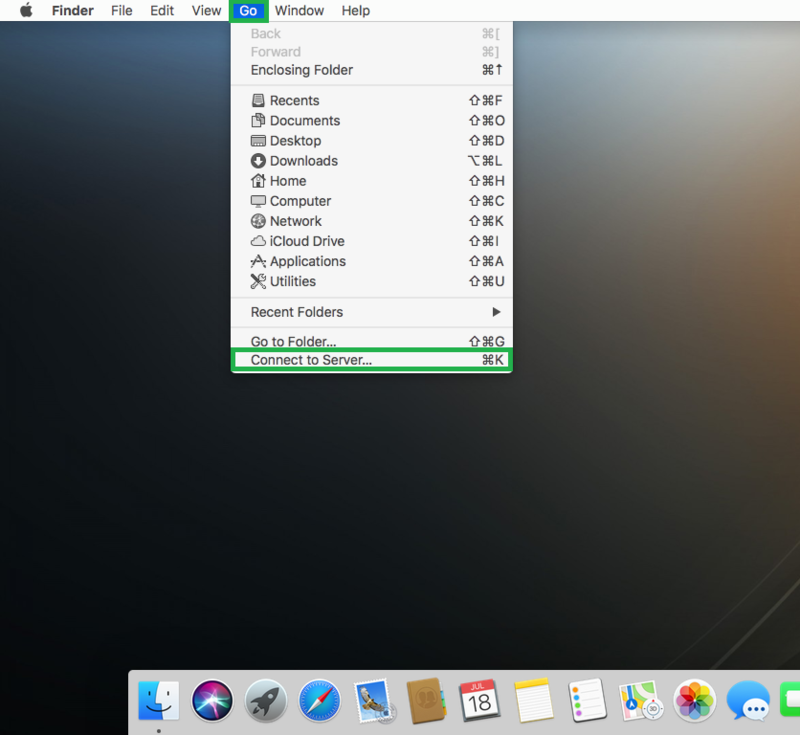 Info: The target Mac is a computer you want to connect to from your MacBook Pro. 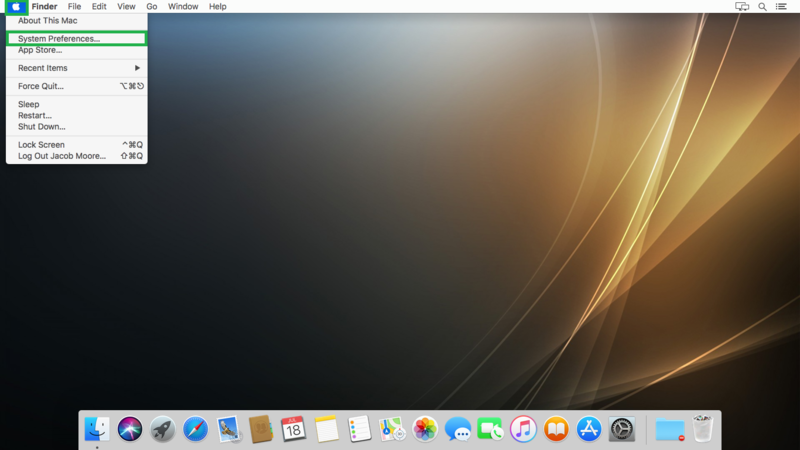 Click the Apple logo from the left corner of the menu bar at the top, click System Preferences, and click Sharing on the System Preferences window. 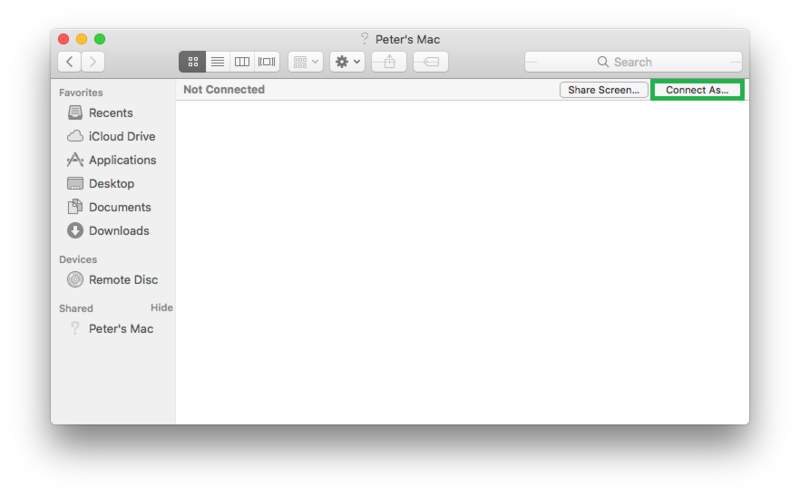 This opens the Sharing window. 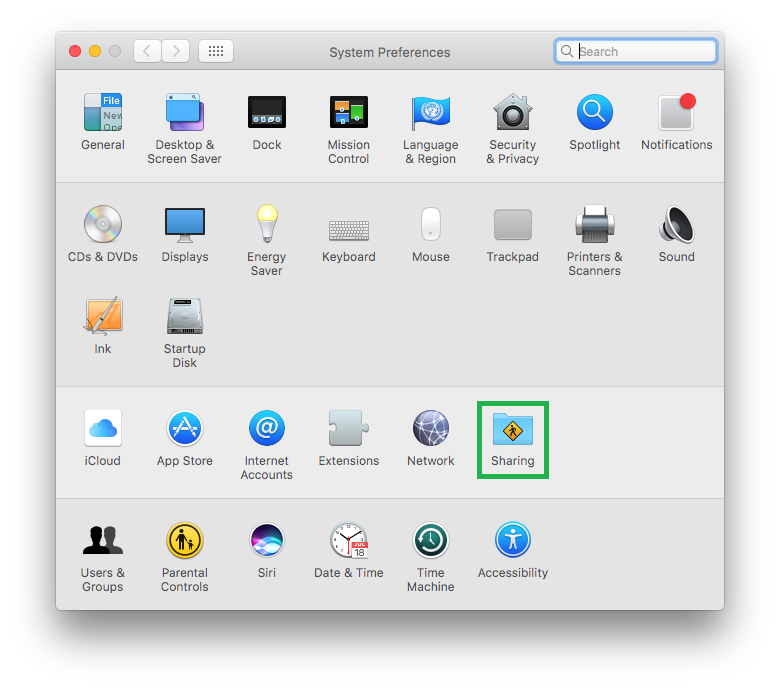 From here you can rename your computer, change the computer’s name for the local area network (LAN) accessibility, etc. 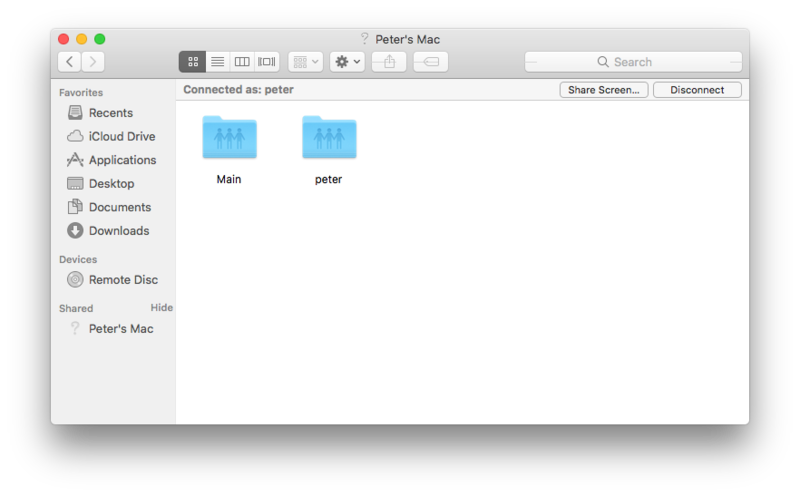 Check the File Sharing, Remote Login, and Remote Management boxes from the available list. 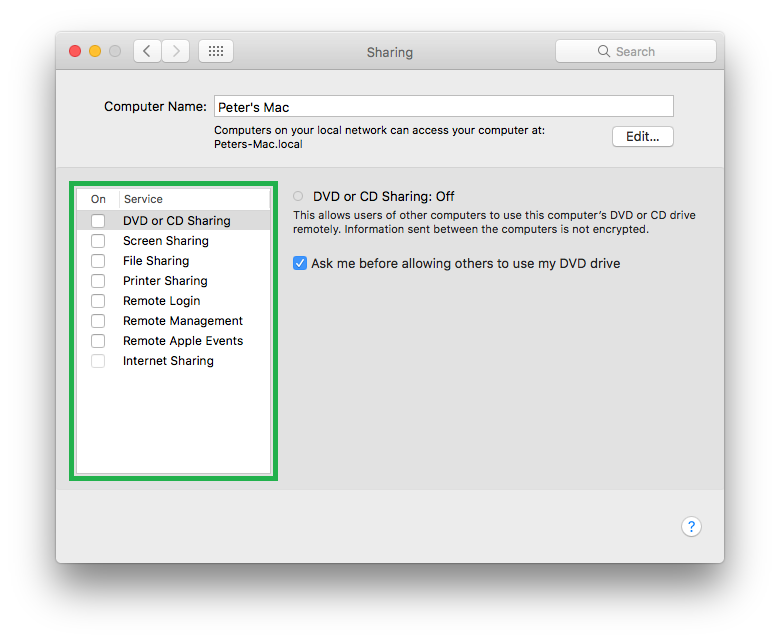 This enables the three sharing services on the target Mac. As you check each box, you can also define the uses’ permissions for the service from the right section. 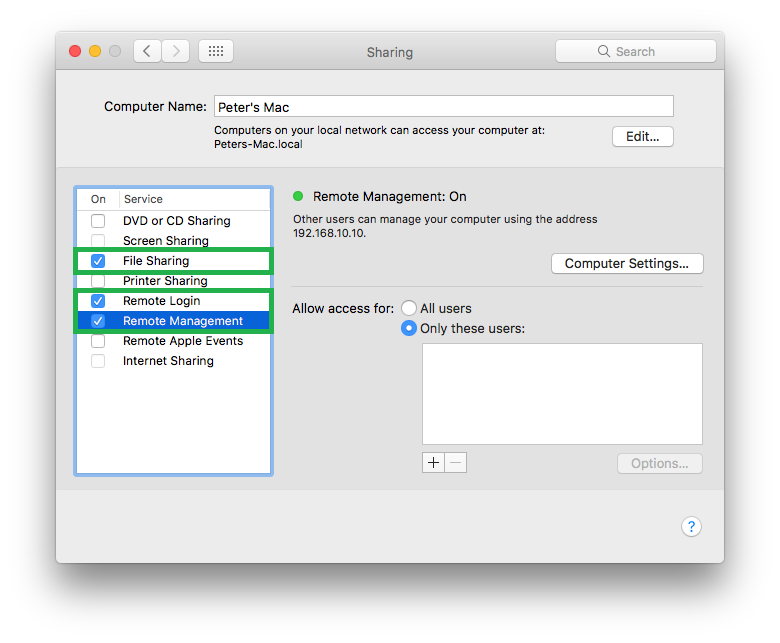 The default permissions (Administrators) are left intact for this example. Also, in addition to the three services enabled here for illustration, you can turn on the other ones as per your requirements. Info: The source computer is your MacBook Pro (here) that you’re willing to use to connect to the target Mac computer. 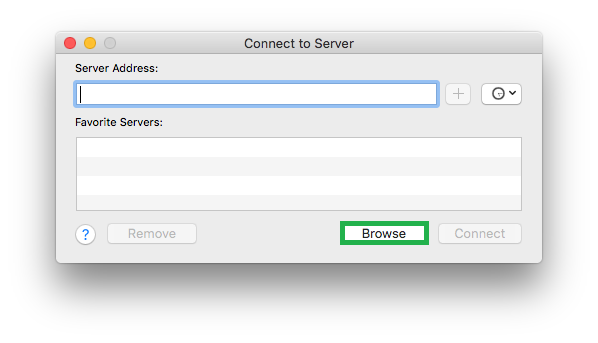 Click Go from the menu bar, and click Connect to Server. This opens the Connect to Server box. From here you can access the remote computers, save their address for future use, or clear the existing remote connection entries. 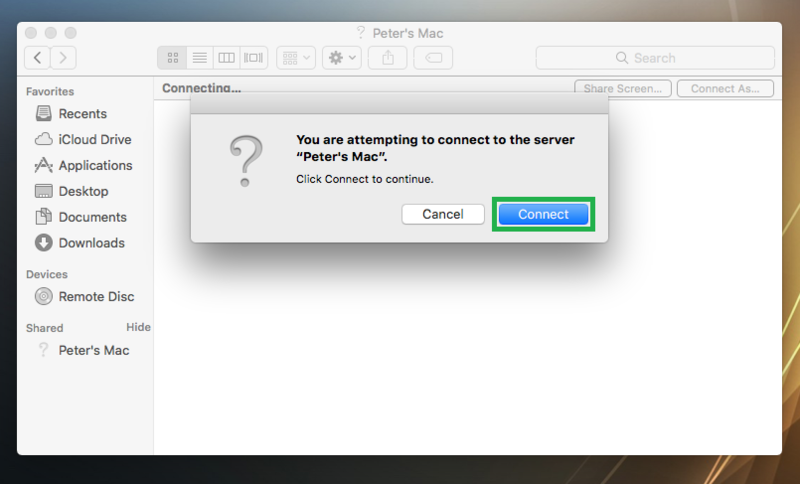 Click Browse, double-click the target computer’s name (Peter’s Mac for this example) from the Network window, click Connect As from the bar that appears at the top, click Connect, enter the credentials of a user account (generally an admin account) on the target computer (peter for this example), and click Connect. 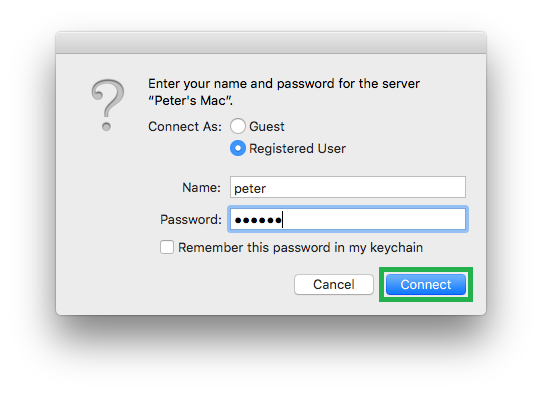 This authenticates the user’s credentials, authorizes the user for remote connection, and logs you in to the target Mac. 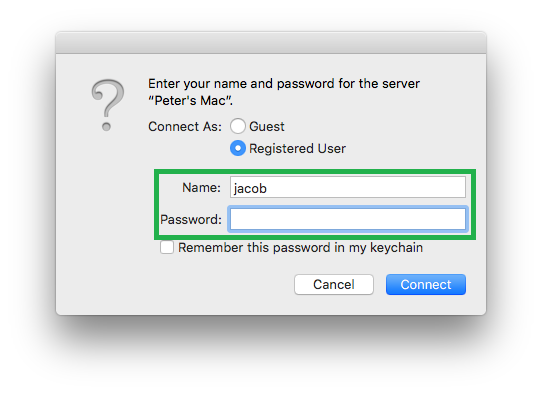 Optionally you can check the Remember this password in my keychain box before clicking Connect to save the user’s credentials on your MacBook Pro if you want to re-connect to the target Mac in future.